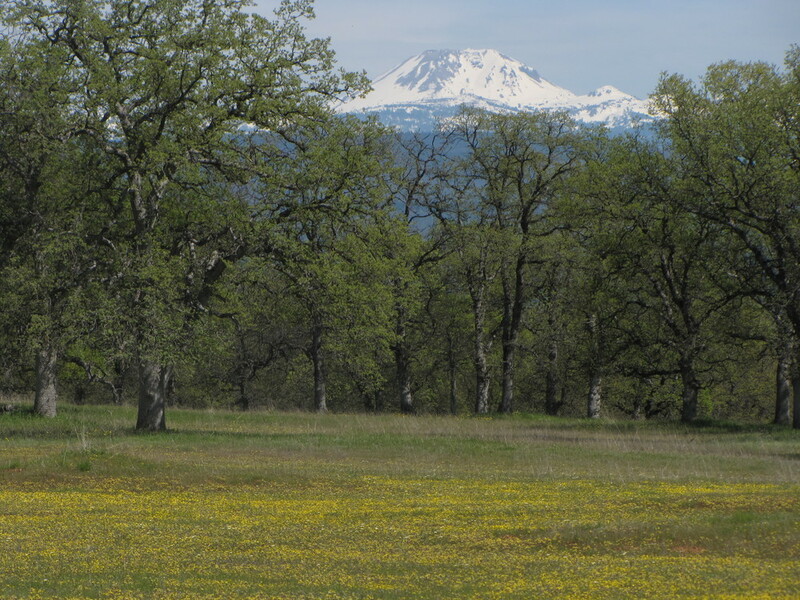 In the spring of 2002, Shasta Land Trust celebrated the completion of a Conservation Easement for the 2,242-acre Fenwood Ranch in Shasta County. The easement prevents any further residential development on the ranch, but permits continued ranching on the property. The Ranch includes two and a half miles of frontage on the Sacramento River, as well as frontage on both Cow Creek and Bear Creek. Fenwood Ranch includes a rich diversity of habitats and wildlife. Rolling hills and oak woodlands cover much of the property, containing vernal pools and riparian corridors. More than 100 species of wildlife have been observed on the property, including osprey and Cooper’s hawk. Many rare species of wildlife are also known to occur on Fenwood Ranch, such as the bank swallow, willow flycatcher, silky cryptantha (a native wildflower), and the northwestern pond turtle. As a result of the conservation easement, the magnificent Fenwood Ranch will never be developed for residential or commercial uses. However, the Ranch remains in private ownership and continues to support the local ranching economy. The rich open space of Fenwood Ranch will remain a part of the productive working landscape of Shasta County for future generations to experience, and its associated wildlife habitat will also continue to support a healthy ecosystem in the north state.